In Bed Stuy, New York, a small misunderstanding can escalate into having a price on your head—even if you’re totally clean. This gritty, triumphant debut that Publishers Weekly calls “a funny and rewarding read” captures the heart and the hardship of life for an urban teen. Yeah, it’s cool…until Ali and Noodles and Needles find themselves somewhere they never expected to be…somewhere they never should've been—where the people aren’t so friendly, and even less forgiving. Jason Reynolds is a graduate of The University of Maryland, College Park. He has been reviewed and profiled in The Washington Post, NPR books, Kirkus, Hornbook, School Library Journal, WNYC, Publisher's Weekly, Poets & Writers, Gawker, mentioned as a standout in the Wall Street Journal, AM New York, Ebony Magazine, was awarded as a top book of the year by the New York Public Library system, and was the recipient of 2015 Coretta Scott King - John Steptoe Award for New Talent. He is on faculty at Lesley University, for the Writing For Young People MFA Program, and currently resides in Brooklyn, New York. Great crafted characters. I felt like I knew these boys, Ali, Needles & Noodles. Like these boys were hanging on my block and I passed by them every day. I liked the plot too. One you could relate to, if you come from lower income lifestyles, which I come from humble upbringing and could totally relate. I liked the ending though. And for those who read my reviews often, know that the ending can be hit or miss with me. This author closed it all up nicely. So the book had a beginning, a middle and an end, that all summed up nicely. **No compensation was received for posting. Compensation will be earned from purchases made from the links within. This copy was read free at Riveted. Opinions are owned by Freda's Voice. 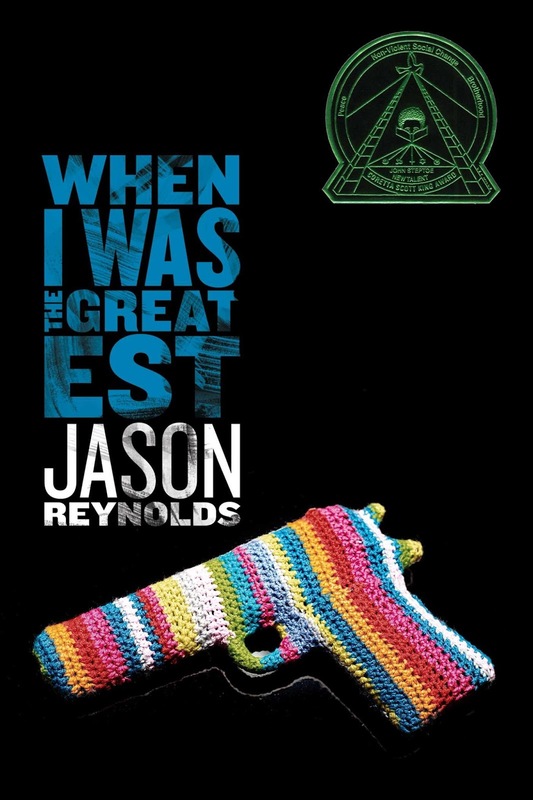 Reynolds is a new to me author, but he sure has the background to produce such a good sounding book. Very interesting cover and bio. Congrats, Jason. Thanks for your review. I wasn't too sure about this one. It sounded good and the cover intrigued me. I think I'll give it a try.